A franchise agreement is a binding contract between the franchisor and the franchisee of a franchise. It’s a lengthy document of around 40/50 pages and it requires a thorough inspection as you need to make sure you fully understand all terms and conditions of the agreement, to avoid any surprises. The agreement will highlight all the expectations and obligations that your franchisor will have of you. The franchise agreement is a very important legal document that should be understood fully. You will need to seek legal advice to ensure that you are able to fully comprehend everything written on that document. With the assistance of professionals and understanding the following four points, it will set you in the right direction of understanding your franchise agreement. Once the franchise agreement has been presented, it will usually be non-negotiable and will be set in stone. Although this may come across as unreasonable, it’s actually a standard in the franchising sector. If the franchisor is willing to negotiate the terms of the agreement, then this is considered a warning sign that something might not be quite as expected, and the confidence of the franchisor and the franchise are questioned. The franchise system has a proven record of success and if franchises are confident in their business model they won’t want to implement any changes to their agreements with their franchisees. So you can carry out your due diligence and get an idea of the confidence of the franchise by asking your franchisor if it’s possible to make certain changes to the agreement. You should also make sure that you understand it properly, and if anything is not clear then you should ask the franchisor or your legal counsel for clarification. The agreement will detail what is expected of you and what you will need to do while you are running the franchise. It will feature your specific tasks and duties, as well as your expectation to manage the day-to-day operations of the business. Sometimes having rules may be seen as a negative, however the rules in the agreement should be seen as a positive as they highlight and define your role. They will give you a guideline on how to run your franchise business, which is one the reasons that people opt for a franchise rather than a start-up. It may also be a good idea to talk to other franchisees from the same franchise in order to get an insight what a franchisee for that company is expected to do. They can give you’re a real insight on how to manage your franchise, as well as the relationship with the franchisor. They may also be able to show you how the day-to-day operations are run. There are both do’s and don’t’s of running a franchise, and there are things that you will be forbidden from doing. These are another set of rules that you have to adhere by. For example you are normally forbidden to participate in specific other business ventures as there will be non-compete clauses in your agreement. Non-compete clauses will usually apply both while you are running the franchise and when you have finished your term of franchising, at least for a certain period of time. This is to ensure that the franchise trade secrets and techniques are protected. You wouldn’t want a franchisee to leave and open a business almost identical to your franchise, or to be involved with and giving information to competitors. There will also be other rules that you will have to follow, for example there may be clauses in the agreement to ensure that the franchise and other franchisees are protected at all costs. These might specify how you operate and behave, as this will reflect and effect the franchise company and other franchisee businesses. The franchise agreement will also highlight how you will exit the franchise. You should have exit strategy in mind, however this will obviously depend on the length of your term with the franchise. It may seem like exiting the franchise will be in distant future, and although it may be years away you should still be prepared and have some kind of exit plan. Finish your term. 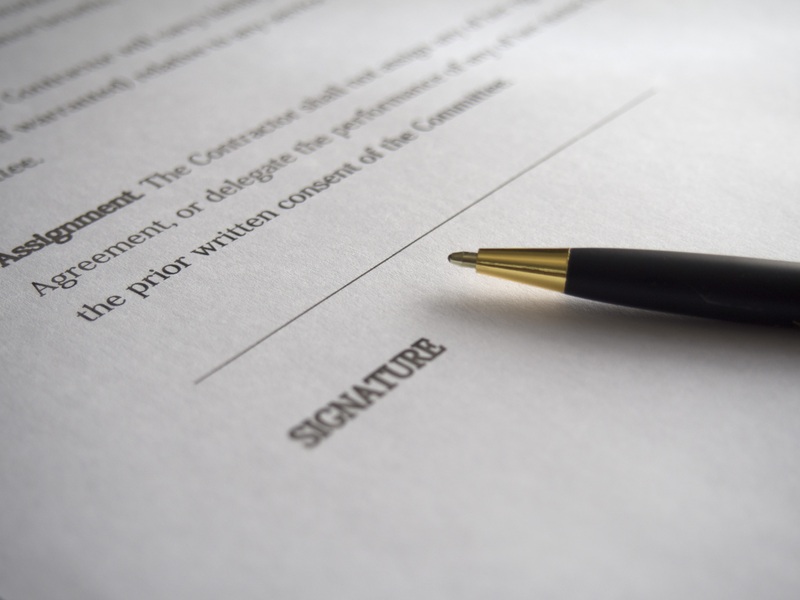 This can lead to renewal of the agreement, however you should be aware that the agreement may not be exactly the same as the first one you signed. Alternatively, you can leave after your fixed term, take the skills you learnt and apply them to another role. You are not complying with the franchise resulting in a termination of the franchise contract. Sell your franchise. You can sell your franchise which is known as a re-sale; there will be terms of this in your agreement. You will need to find a buyer and the buyer will then need to be approved by the franchisor. The franchisor may also require a certain percentage of the money from the re-sale. A franchise agreement will bind you to the franchisor for a lengthy amount of time, at least a couple of years. Therefore, you need to fully understand the agreement and what is expected of you, and it is recommended that you seek professional advice to ensure this. More on franchising and franchising for beginners.